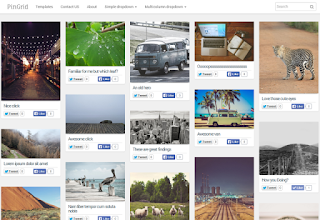 Gridpin Responsive Blogger Template is a professional responsive Photography Blogger Template for sharing photos and designs. Grid Pin is making use of responsive masonry feature to give pinterest like masonry effect in home page, search pages, category pages and archive page. Posts and pages will have default 2 column layout.